Hai Phong (VNA) – As the largest sea port in Vietnam’s northern region, Hai Phong city boasts huge potential for maritime economic development, especially sea and island tourism. The city’s administration has designated Bach Long Vy island district and Cat Ba and Do Son tourism sites as major attractions in its tourism development plan. Vice Chairman of the People’s Committee of Cat Hai island district Hoang Trung Cuong said tourism accounts for about 70 percent of state budget collection of the locality, while creating jobs for 5,000 workers. Tourism is now the driving force of the island district’s economic development. The inauguration of the Dinh Vu-Cat Hai bridge in 2018 has helped to reduce travel time from central Hai Phong to the district’s Cai Ba tourism town, creating a momentum for tourism. 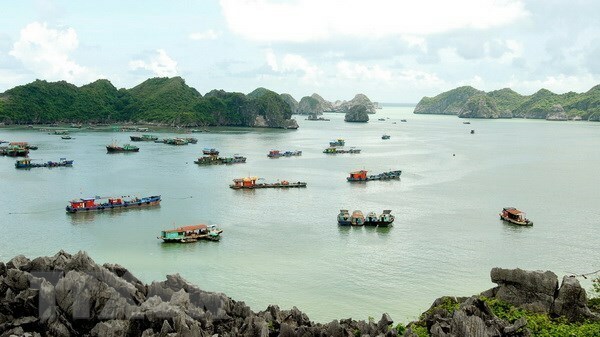 About 2.5 million visitors travelled to Cat Ba in the year, out of the total 7.8 million visiting Hai Phong city. Cuong added that Hai Phong has invited strategic tourism investors to the city over the time, including property developer Sun Group. The city aims to turn Cat Ba into an eco- and smart tourism centre of the country. Director of the municipal Department of Tourism Nguyen Thi Thuong Huyen said local authorities have issued a decision to complete the city’s steering board on tourism development. Earlier, the People’s Council of Hai Phong approved a resolution on tourism development in the 2017-2020 period, with a view to 2030. Accordingly, the city will direct its resources into turning tourism into its spearhead economic sector and attract investment in sea tourism, along with other types such as ecotourism, spiritual, community-based, entertainment and resort tourism.